somewhere in between, you’ll find places to enjoy your sport. 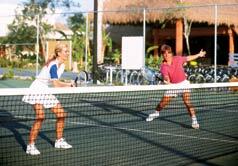 watersports, aerobics classes, scuba diving and, of course, tennis. guests than any of its rivals. TENNIS LOVERS REJOICE AT CANTO DEL SOL! 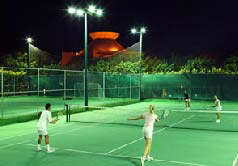 polish their game at a tennis clinic or with the club's tennis pro. 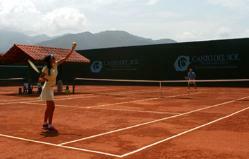 Club, Puerto Vallerta’s premier tennis facility.